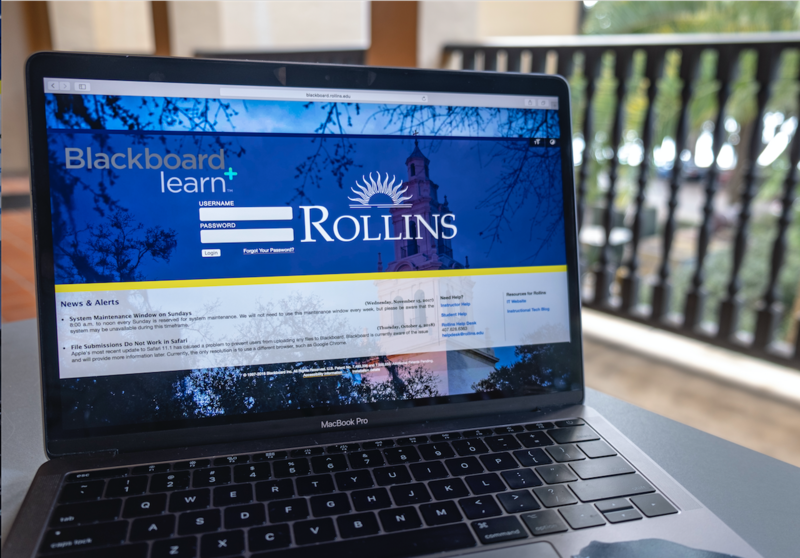 After evaluating feedback from students and faculty through surveys and open demos, Rollins will switch its learning management system (LMS) from Blackboard to Canvas in August 2019. Students have until December 2019 to download any Blackboard assignments or grades that they want to save for the future. The Office of Informational Technology (IT) has already sent an email warning students of the change. Rollins considered changing vendors when Blackboard announced it was updating its site to the new Blackboard Ultra, which would give the service a more modern look and improve some of its features. However, Rollins wanted to see if switching to Canvas was a better option, a program that many universities, including most Ivy League schools, use. The decision to switch from Blackboard to Canvas was collective, starting with student and faculty feedback. This included surveys from focus groups that tested a pilot of Canvas for selected Fall 2018 courses. A total of 19 faculty and 460 students participated by having one or more of their courses testing Canvas or Blackboard Ultra, totalling 26 classes across campus. The classes included undergraduate and graduate courses, such as religion, music, Spanish, and biology. Approximately 300 students in 17 classes participated in the Canvas pilot, while around 100 students in 9 classes participated in the Ultra pilot test. By the end of the test, 170 students completed and submitted surveys. Most of the positive reviews were for Canvas: 90 percent of the students who tested Canvas said that their experience was positive, and 79 percent recommended Rollins adopt it. Students said that Canvas was easy to use and navigate, and it had unique features that would improve their class experience. Three of the students who sent survey submissions signed up for a focus group discussion after their pilot courses. “Despite this small number, the in-depth discussions we had with these students about their pilot experience provided valuable and detailed feedback,” said Amy Sugar, director of instructional design and technology. Faculty who taught these pilot courses also shared feedback that students had told them during class. There were also multiple vendor demos for both Canvas and Ultra, where representatives from the companies came to campus to give guided tours and answer questions about their respective programs. All attendees were given surveys to fill out during the presentations, asking about their experiences and what they liked or disliked. According to Sugar, only four students attended these demos. The IT team collected this input and compiled it into a report which is publicly available to read on the Rollins IT website. It includes the responses students gave in their surveys as well as statistics. The report also has the responses of faculty, who agreed that Canvas was easy to use. Faculty especially liked how the gradebook functioned. Approximately 10 faculty members participated in the Canvas pilot, and six replied to the survey. All six faculty who responded said they had a positive experience with Canvas and that Rollins should adopt it. The full IT report was given to the LMS Selection Committee, whose members are nominated by faculty. The team met in early February, reviewed the feedback about each LMS service, and unanimously voted to use Canvas in the upcoming year. Some summer classes may be taught in Canvas, but all courses will be on Canvas by the start of the Fall semester.